Tired of sifting lumps through your teeth? There’s a better way. 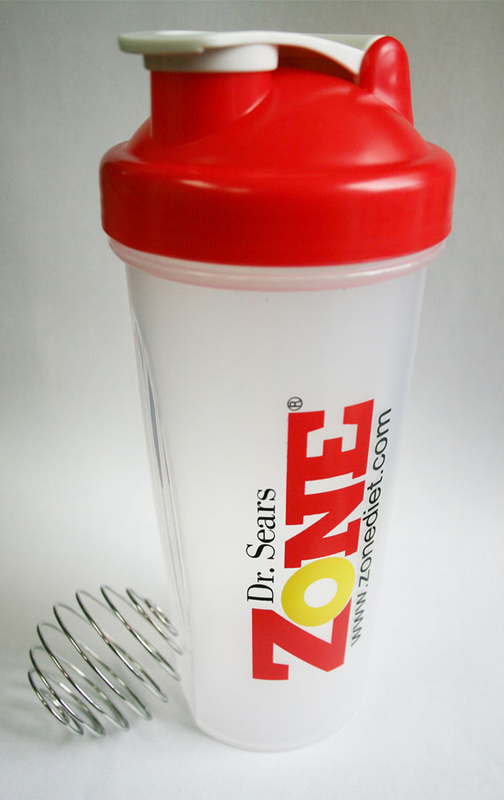 The Zone BlenderBottle® is the best way to mix your Zone Shake and take it on the go. Why? Because it works! The wire whisk moves freely throughout the bottle as you shake it, mixing your ZoneRx Meal Replacement Shakes with ease. Perfect in the kitchen, at the office, at the gym, when you travel, or on the go. Now you can mix it smooth—anytime, anywhere! Of course, The Zone BlenderBottle® is BPA free. Works amazingly well with the new ZoneRx Shakes. It’s quick, doesn’t leak, easy to clean, & shaped for even small hands to hang on to. It’s great. I love it! I love the shaker cup. It does a great job of mixing. I am slow to drink 12 ounces so I just give it another shake and it freshens it up. I am anxious to travel with it. Having been through many of the former style this upgrade is very welcome. The lid closes tighter the wire ball inside does a much better job of mixing than the old top-grid style. It is easier to clean so it makes less of a mess when I travel with it. And so far none of them have leaked!